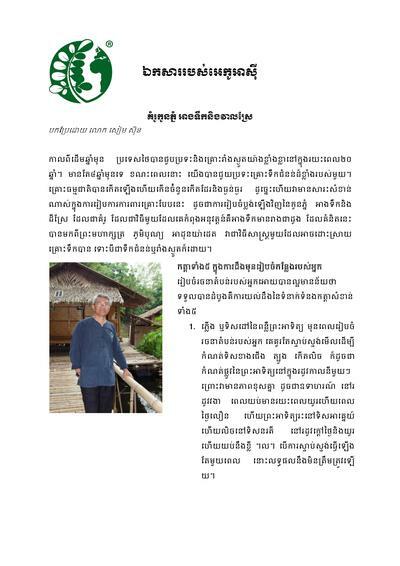 This series of articles on water management has been reprinted with permission from Thailand’s Natural Farming Magazine and serves as an introduction to small-scale water management. Many of the ideas offered in these articles are consistent with permaculture design principles, which promote farmer resiliency against varying weather extremes. To read more about permaculture options for smallholder farms, please see this “Permaculture in Development” article by Brad Ward in ECHO Development Note #129.